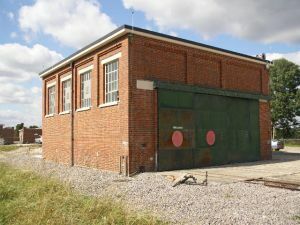 A workshop building of brick elevations under a concrete roof with sliding loading doors to one elevation. The unit has a vehicle inspection pit, overhead crane, radiant heating and sodium lighting. Eaves Height 17 ft 2"